That was seven years ago and she died – somewhat expected-unexpectedly – soon after. I was her only child and we talked by phone every day. Those final words are especially comforting because we didn’t know that call would be our last. But, my mom would have loved Houston Astros second baseman Jose Altuve, because, although just 5’5”, he excels in a sport meant for taller, bigger, beefier players. She loved it when an underdog made good. Altuve starts an amazing double play on Thursday. 2) Adam Jones. Baltimore Orioles All-Star centerfielder Adam Jones doesn’t mince words – winning or losing – and plays hard every day. She would love a gamer like Jones who could shake off a collision, not complain, and just keep playing. 3) Girls Playing Baseball. My mom was pretty clear on this – girls should have the same opportunities as boys. Period. My mom was all for women Presidents, women priests, and women playing sports at the same level as men. Had she thought much about it, she would have been insulted to learn that girls are encouraged to play softball because it’s believed they aren’t up to the rigors of baseball. She would be all for girls playing baseball just to stick it to the idiots who think they can’t. NPR’s Only A Game shared a story this week about “Baseball For All”, a girls baseball academy. I haven’t missed one since. This is for mom. Love you, too. This entry was posted in Baseball, Life, Mom & Dad and tagged Adam Jones, Girls playing baseball, Jose Altuve, Mother's Day by Jackie, The Baseball Bloggess. Bookmark the permalink. Thank you. Sometimes seven years seems like forever ago … sometimes it seems like only a minute. I’m sure it’s that way for a lot of daughters and sons. Yeah, I lost my grandparents (who did much of the parenting while I was growing up) 20 years ago and sometimes I still think of it as yesterday. Relish the good times you had. Lovely remembrances of your mom. Made me think of my last phone conversation with mine, though I was able to be at her side at the very end. Mother’s Day is not quite the same now, except when you have a visit from a new mom-to-be as I was lucky enough to have today when a nephew and his very, very expectant wife dropped by. Thank you for sharing the memories. My heart goes out to you … I’m so sorry for your loss. Time is a great healer. I think you’ll find that the pain and sadness will eventually begin to subside, but the warm and loving memories remain. I think some of the grief we have is fear that we’ll forget or lose their spirit inside us. But, I’ve found that we don’t lose that. There isn’t a day that goes by that I don’t think about my mom and dad. I still have moments when I just wish I could tell them something about my day. But, the sadness grows softer with time, and there’s something deeply comforting about how the memories still stay warm in your heart. It’s nice to know that even as the years go by, we don’t lose that connection. This one brought a smile to my face. Thanks. While I cannot relate to the loss, I can relate to the fact that I’m losing my mom. She is slowing going downhill mentally (due to dementia and doesn’t have the best memory (long-term or short-term)). I just think about how I can make my little man (boy) have the best mom memories around as I’m pretty sure it will happen to me in about twenty years or so. I’d like him to have some great memories. Beth, I don’t think there’s an “easy” way to lose a parent, but I’m pretty sure that losing a parent little-by-little is the hardest of all. My heart goes out to you. 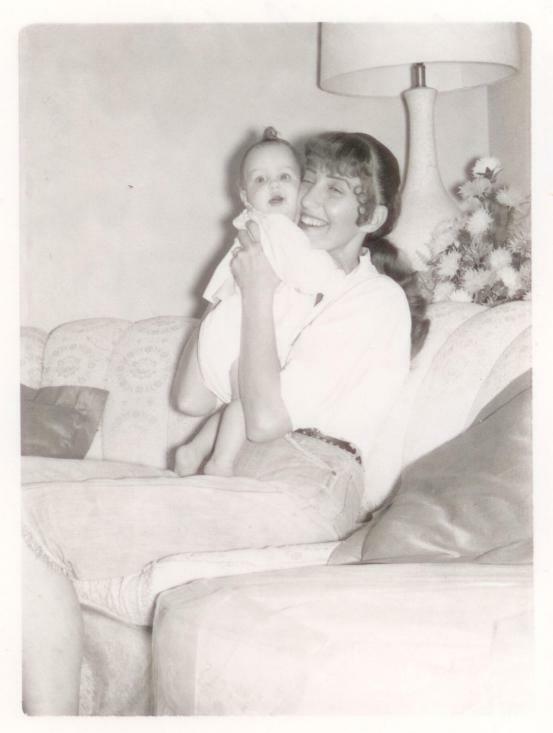 What the Kennedy assassination was for most of my mother’s generation– that moment in time where they remember exactly what they were doing, exactly what was taking place–the Harvey Haddix “perfect” game was for her. Needless to say, I loved this.